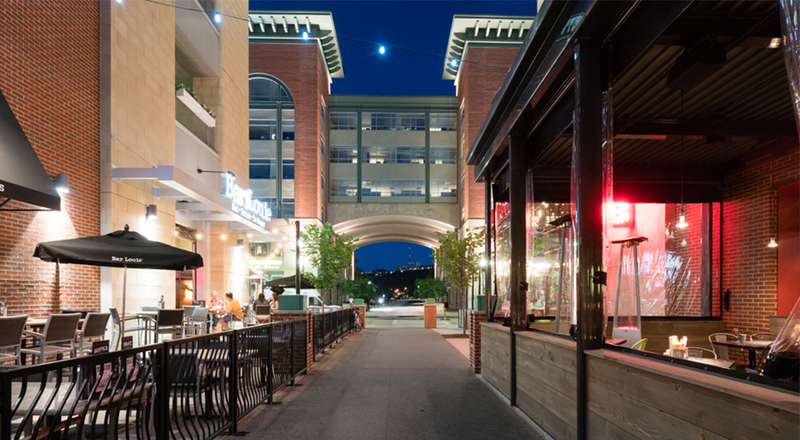 On Pittsburgh’s revived North Shore, between PNC Park and Heinz Field, is a multi-purpose riverfront district that is ripe for gameday and workday patrons alike. 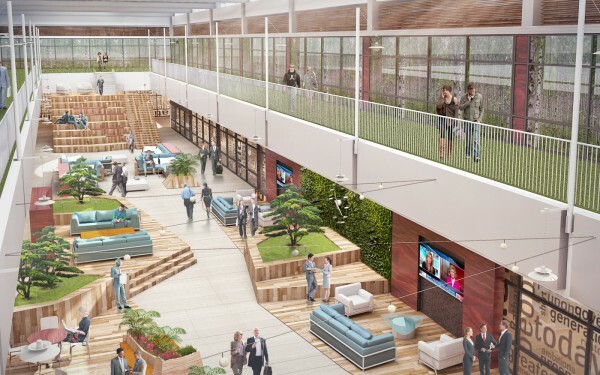 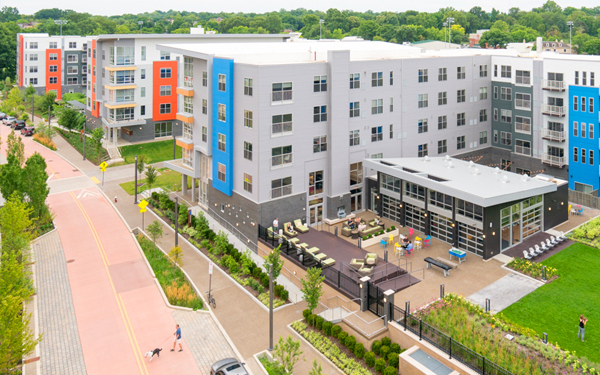 In part due to the addition of light rail transit in 2012, the neighborhood has become a highly sought after and easy-access location, drawing workers from the Central Business District with new options for recreation, business, and city living. 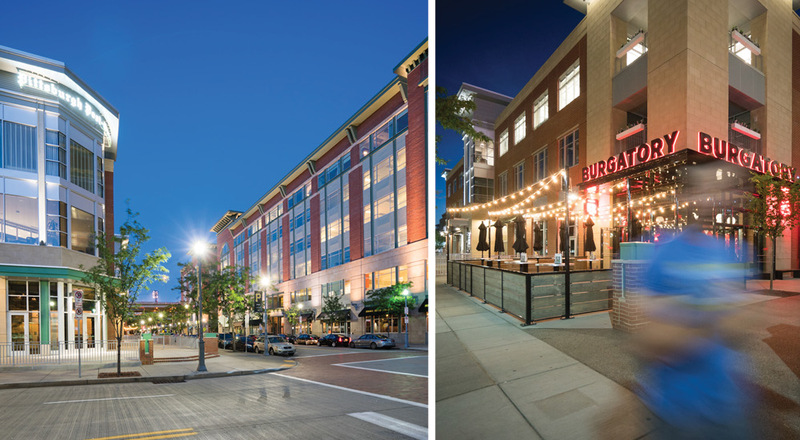 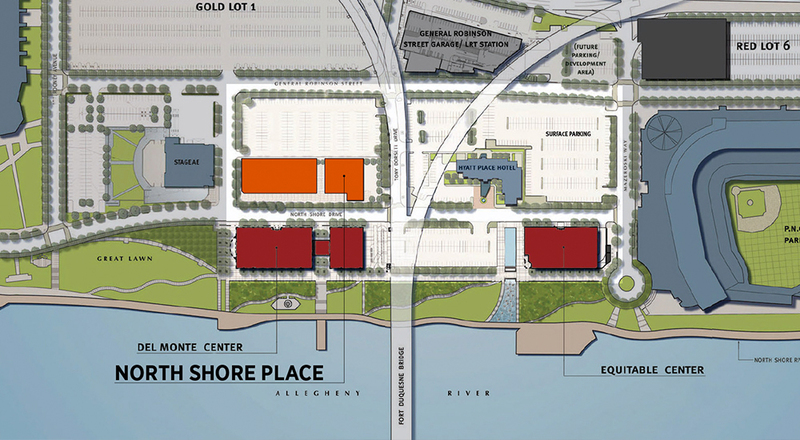 The North Shore Place project complements this bustling area with two buildings that span a city block, containing space for both retail outlets and offices. 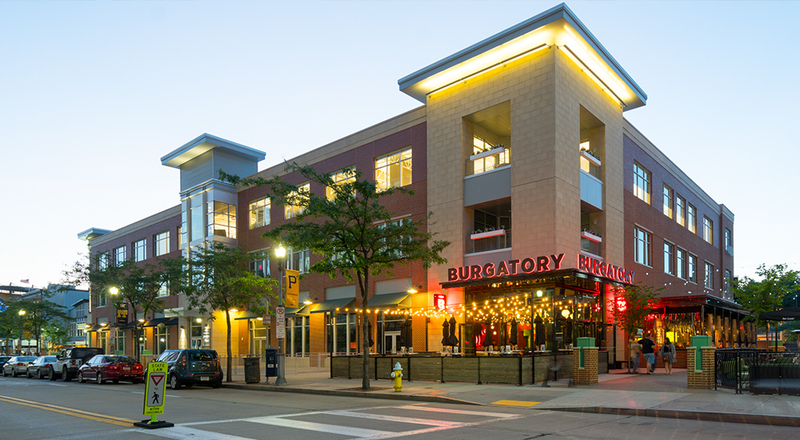 The buildings extend the already-developed streetscape by adding to the community-centric feel of the district with balconies, greenery, and outdoor seating areas. 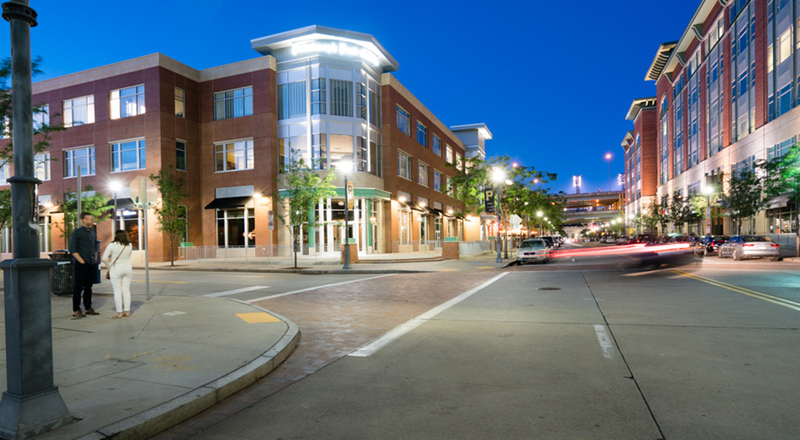 The retail units are home to restaurants serving weekend and workday guests, while the main office space is occupied by the Pittsburgh Post Gazette. 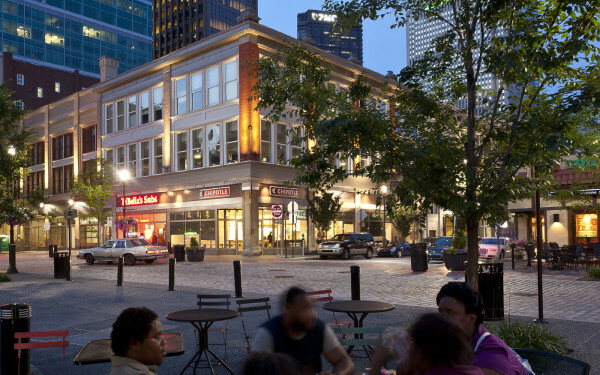 On the building’s posterior, there is a mural depicting the silhouette of a musical performance, paying tribute to the vibrant energy of this lively entertainment district.